You’re probably wondering where I’ve been – I haven’t posted for days! So sorry about that; I had a 2 day craft fair over the weekend, so the end of last week for final prep & packing for it, then I was just too tired to post when it was all over! I have 1 more, 1 day fair coming up towards the end of the month, so I do have more prep to do, but not as much. And I promise to keep you in the loop about what’s going on! 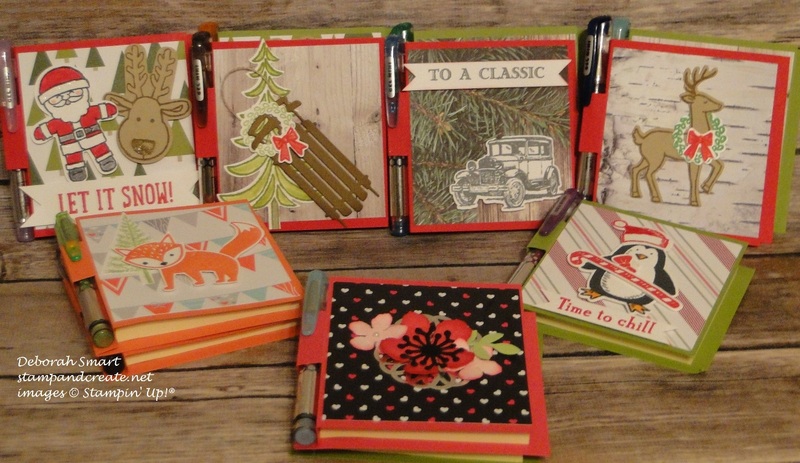 For starters – Stampin’ Up! has just let us demonstrators know that they are bringing back the Online Extravaganza on November 21st! We don’t have the fine details yet, except that you can save up to 40% on select products during Online Extravaganza. Not only are there amazing deals to be had during this one-week only, online super sale running November 21-28, it’s the perfect time to stock up on holiday gifts for family and friends! This year’s Online Extravaganza will include 24-hour sales on the first and last day of the promotion, featuring special product discounts only available that day. I’ll have more details at the end of this week, and will pass along any new information I can, as it becomes available. Be sure to check back here! 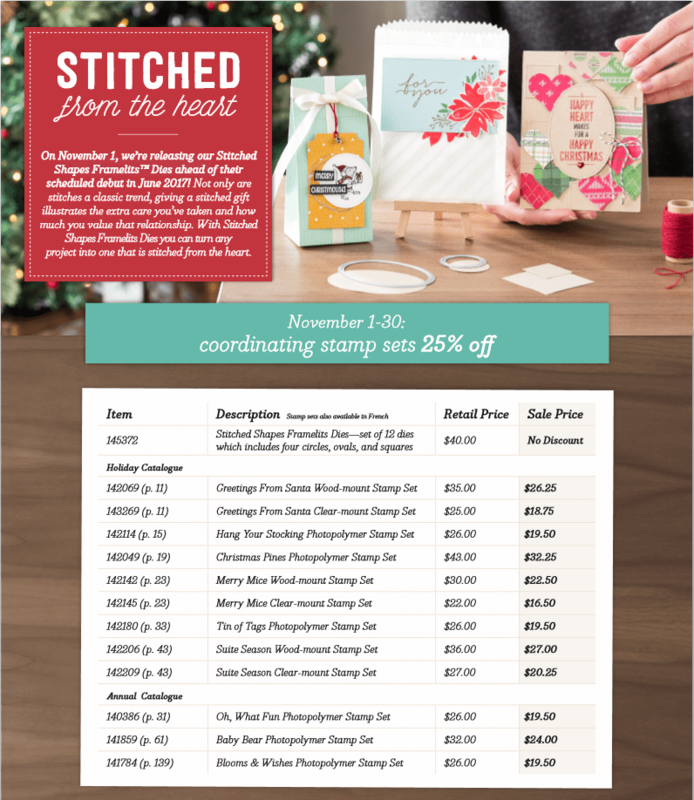 In the meantime, you can still get select current stamp sets at 25% OFF until the end of this month, plus the new Stitched Framelits Dies! A word of caution – the Stitched Framelits Dies have proven to be way more popular than anticipated – in fact, the supply has almost run out! Another order has already been placed, but once the current stock runs out, they will not be orderable until the new shipment arrives (in other words, we won’t be able to leave them in a back-order status, but will have to wait until the item # is activated again when the new stock is received). So if you want yours now – ORDER NOW! CLICK THIS LINK to place your order, or contact me right away! 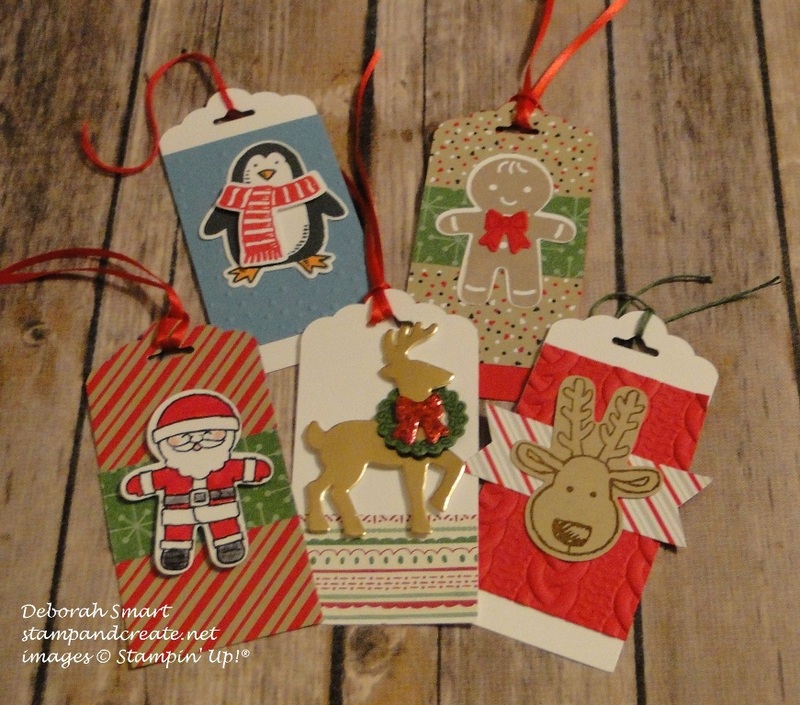 Assorted gift tags; I packaged them in cello bags with a topper. Post-it note holders – these were one of my best sellers! 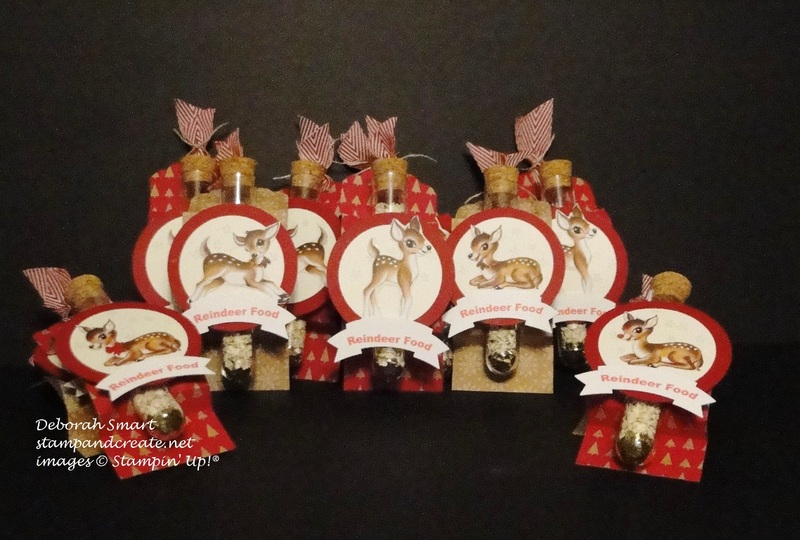 They’re perfect for coworker gift exchange, or teacher gifts. 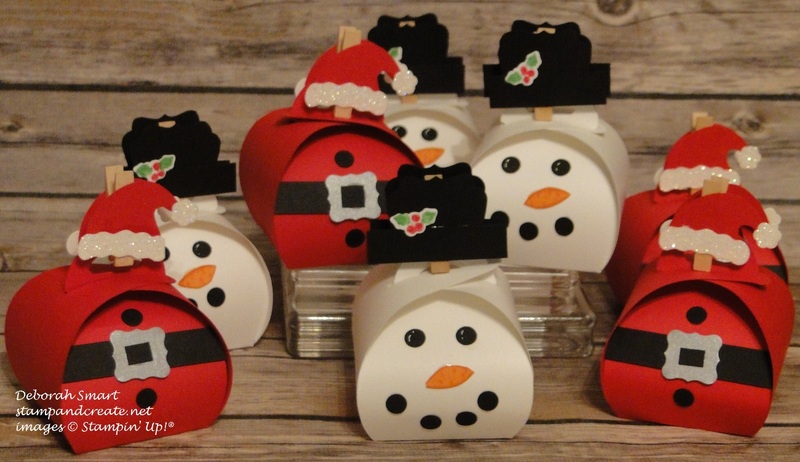 Of course, I had to make my Santa and Snowman boxes, using the Curvy Keepsake Box. I made some Minion boxes as well – I’ll have to take a picture of them! 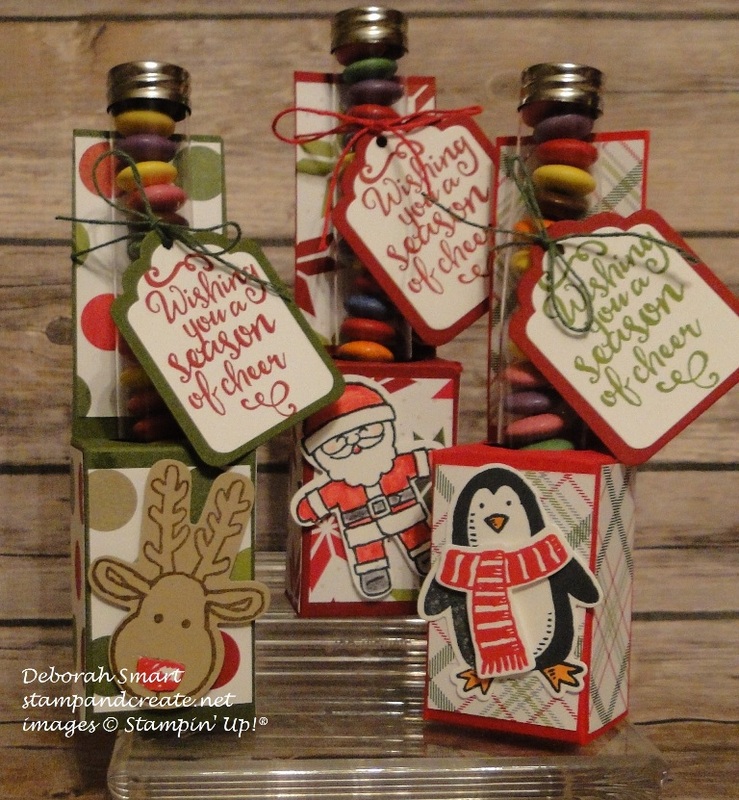 I’ll share some more pictures in another post; right now, I have to write & schedule my posts for tomorrow – be sure to come back to see my design team cards for the Paper Craft Crew and Watercooler Wednesday challenges! Previous Previous post: It’s Watercooler Wednesday Time! Thanks for all your great ideas! These are all so cute. I’m glad you found some inspiration in my craft fair projects, Linda! Thanks for visiting, and taking the time to comment 🙂 I appreciate it!